Welcome to the MAP Family! Museum at Prairiefire memberships are flexible and last for one year beginning at the end of the month of purchase. People attending under your membership can include anyone up to the amount of people included in your membership (2, 3, 4, 5, 6, 7, or 8 people): Family members, Friends, Coworkers or out-of-town visitors. Friends & Family, Educator, Student, School and Corporate Memberships are available. Memberships may be purchased here or in person at the MAP. If you have questions or would like more information about memberships, please email us at membership@visitthemap.org or call Jess Pettitt at (913) 333-3507. Are you an Educator? You can enjoy all the privileges of a Friends & Family membership at a discounted rate. Are you a Student 18 or over? You can enjoy all the privileges of a Friends & Family membership at a discounted rate. Early childhood learning should be FUN and active! With an annual MAP School Membership our Education Team introduces children to diverse STEAM topics through our Little Explorers Club, which is hands-on, play-based discovery of the natural world - at your school. Children lead their inquiry, facilitated by trained scientists and early childhood educators. 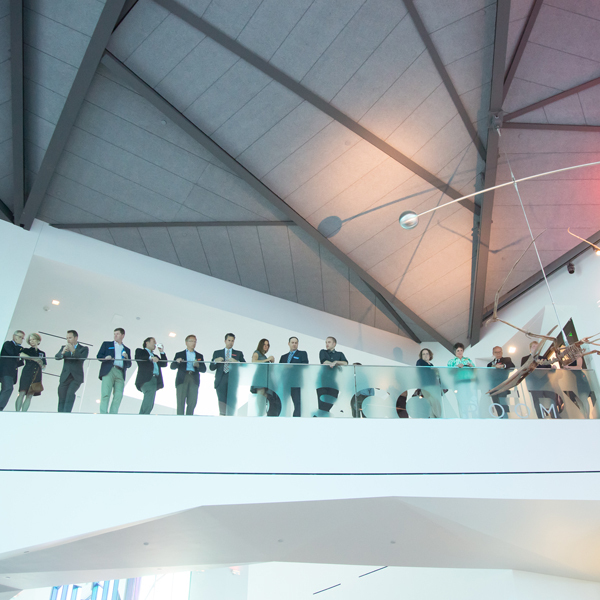 Corporate Memberships are designed to enhance the Museum at Prairiefire’s relationship with your businesses and provide a unique opportunity for you to give back to your employees. When your company supports the Museum at Prairiefire, it demonstrates a dedication to STEAM education and providing ACCESS FOR ALL to understand and celebrate natural history, arts and science in our region and around the world. Your Corporate Membership provides support for our primary initiative, KC Urban Advantage.